The Eagle's Lodge: Halal pork at Jumbo ! Beware of what you eat ! Halal pork at Jumbo ! Beware of what you eat ! Halal is a word commonly used in Mauritius and elsewhere to describe what is lawful, whether money or food. For a food to be halal it CANNOT contain pork, is not blood (except from liver), does not come from a strangled to death animal, cannot contain alcohol and other intoxicants. Halal is the literal contrary of Haram meaning which is unlawful by islamic laws. What is unlawful to eat for muslims is contained in the Quran (The muslims' holy book). A french tourist witnessed food sold at Jumbo in Mauritius tagged as halal whereas it is said that the food is actually pork ribs. Whether the halal etiquette is misplaced or the pork etiquette is misplaced is not the discussion. The discussion is to what extent can you trust those companies in providing you with real halal food?. 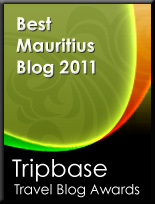 The news was released in 2011 by the website Saphirnews and relayed by the Mauritian website Maurinews.info . I have personally witnessed along with 2 of my colleagues, the seller at the cooked food zone of the jumbo hypermarket that the proper sanitary conditions for delivering halal foods or VEG foods are not respected. The woman in charge of serving us, did not change her gloves after serving pork jambon and served one of my colleagues with the same gloves an Hakien. Do not eat at any food outlets where mix veg and meat are sold as you cannot be sure they are respecting sanitary conditions. Do not eat from supermarket food zones as both porc, meat and veg are served in the same place using the same tools and gloves. I hereby urge the government to take immediate action to setup a committee in order to give real halal certifications and real veg certifications to restaurants and food outlets as well as manufacturing companies in Mauritius. Your views are welcomed, Please share and Use the FB like button.. This is very important for our food security.